Hi everyone! My name is Meredith Salmon (yes, just like the fish) and I cannot believe that it is almost time to begin my adventure aboard NOAA’s Okeanos Explorer. This June, I finished my fourth year teaching Honors and Regular Biology at the Peddie School located in Hightstown, New Jersey. Peddie is an independent, coeducational boarding and day school that serves 551 students in grades 9-12. We welcome a diverse student body from all across the United States and the world. Our students represent a total of 23 states as well as 34 countries and 64% of students are boarding while the remaining 36% commute. Therefore, I am committed to creating a global classroom where students are engaged in a problem-based curriculum that emphasizes scientific investigation and critical thinking. In addition to teaching, I serve as the Assistant Girls’ Varsity Soccer Coach and will be the Assistant JV Girls’ Basketball Coach this winter. I have also coached winter track the past two years. I live and work as a Dorm Supervisor in a sophomore level female dormitory as well. 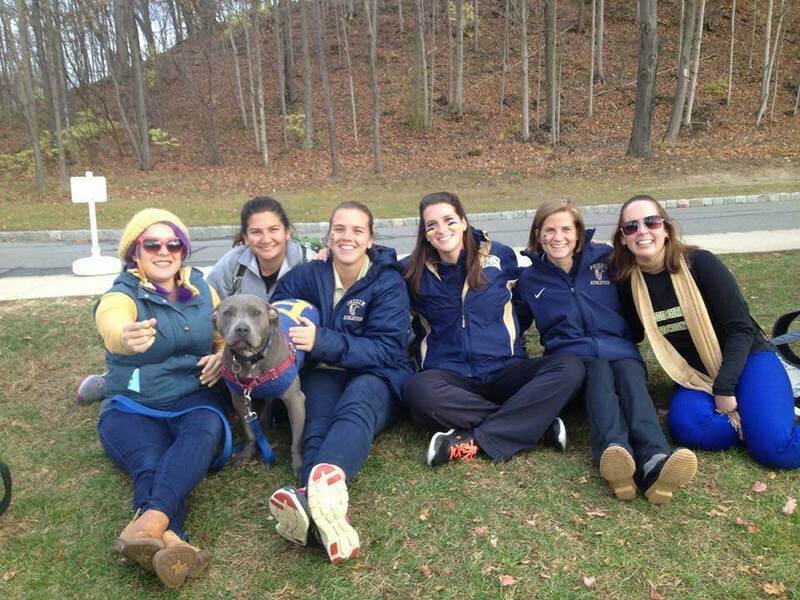 Working as a teacher, coach, and dorm parent in the Peddie Community has granted me the unique opportunity to shape the lives of many students in and outside the classroom environment. Being immersed in current research while engaging with other scientists and crew members onboard the Okeanos Explorer is going to be an incredible experience. I am really excited to take what I learn in these next couple weeks and use it to design a Marine Science/Biology elective for next spring semester. I think it is so important for students to use science, engineering practices, and technology to become well versed in ocean literacy and discovery as well as NOAA’s endeavors in ocean exploration. I can’t wait to share what I’ve learned with you soon! NOAA Ship Okeanos Explorer at sea. Image courtesy of Art Howard/NOAA OER. The Okeanos Explorer will map an area southeast of Bermuda designated by the Atlantic Seabed Mapping International Working Group (ASMIWG) at the 4th Annual Galway Trilateral Meeting in April 2017. As part of the Galway initiative, the ASMIWG utilized a suitability model to identify priority regions in the Atlantic Ocean factoring in areas of public interest, sensitive marine areas, and areas with marine resource potential. This will be the first U.S.-led mapping effort in support of the Atlantic Ocean Research Alliance/ASMIWG initiative. From the end of May until early July, NOAA and partners conducted an extensive ocean exploration expedition aboard the Okeanos Explorer. The goal was to collect important baseline information about unknown and poorly understood deepwater regions of the Southeastern United States. For more information and cool videos, check out their website! 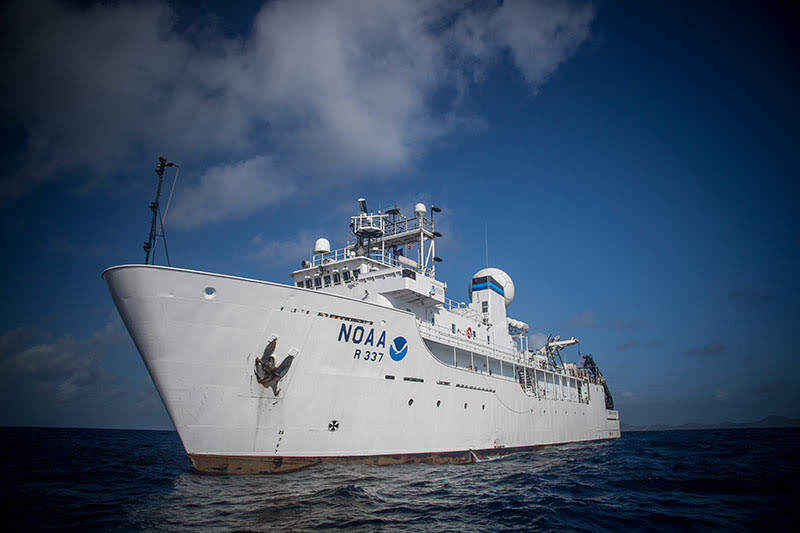 This entry was posted in 2018, Meredith Salmon, NOAA Teacher at Sea and tagged Exploration, Galway Initiative, introduction, NOAA SHIP OKEANOS EXPLORER. Bookmark the permalink. Can’t wait to hear all about your adventures!